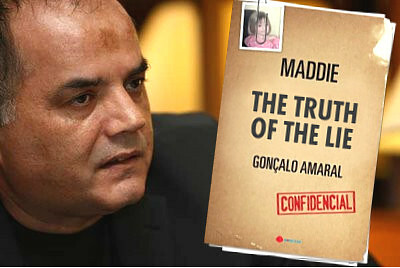 GONÇALO AMARAL - BRITISH MEDIA SMEAR CAMPAIGN: CENSORED - Paulo Sargento : McCanns Launch Defamation Action Against Sargento - Remember All Legal Actions Are Paid From The Find Madeleine Fund WITHOUT The Publics Knowledge ! 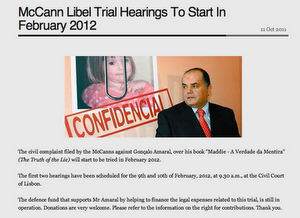 CENSORED - Paulo Sargento : McCanns Launch Defamation Action Against Sargento - Remember All Legal Actions Are Paid From The Find Madeleine Fund WITHOUT The Publics Knowledge ! 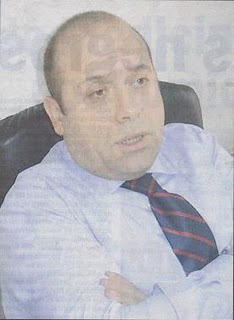 Paulo Sargento does not believe in the abduction theory, therefore he must be punished !